Venn diagrams use overlapping shapes, usually circles, to explain and illustrate the relationships, similarities, and differences between sets or groups. 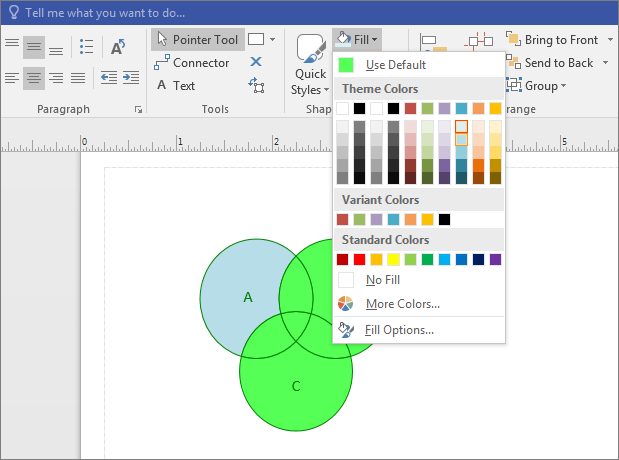 You can create Venn diagrams using a template, or build a custom diagram with as many or as few shapes as you want. Use the Venn starter diagram when you get going quickly. Customize the diagram by adding your own text and colors. 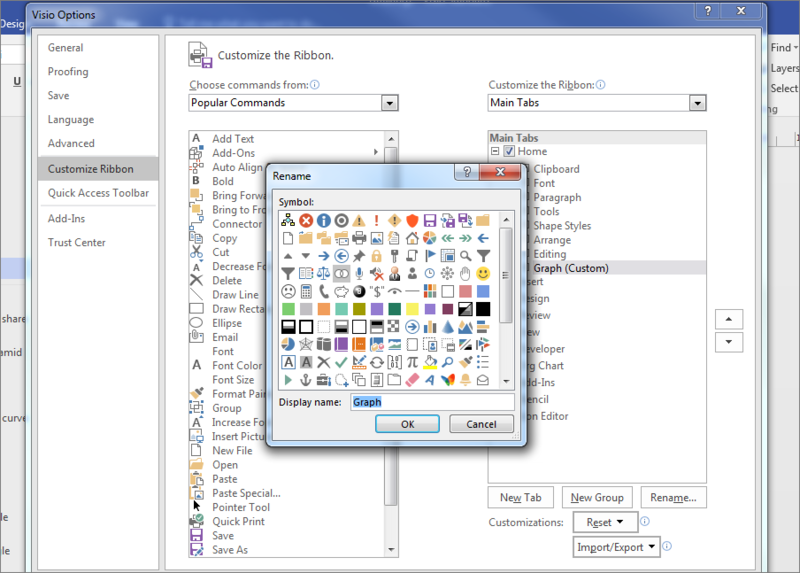 In Visio, on the File menu, click New > Business, and then click Marketing Charts and Diagrams. From Marketing Diagrams, drag the Venn diagram shape onto the page. Click a segment to select. Click Fill in the Shape Styles area, and select a color. Click Fill, and select a different color. To add text to a segment or to the overlapping area of the segments, select the Venn diagram, click the segment or overlapping segments, and type the text. If the Venn starter diagram does not fit your needs, build your own Venn diagram from the ground up. 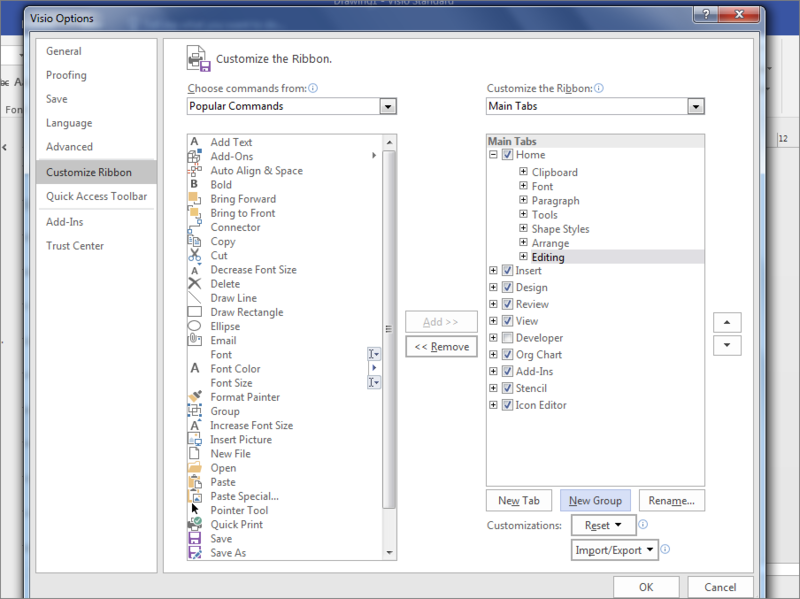 By customizing Microsoft Visio, you can include as many or as few groups as you want. In Visio, on the File menu, click New, and then click Basic Diagram. 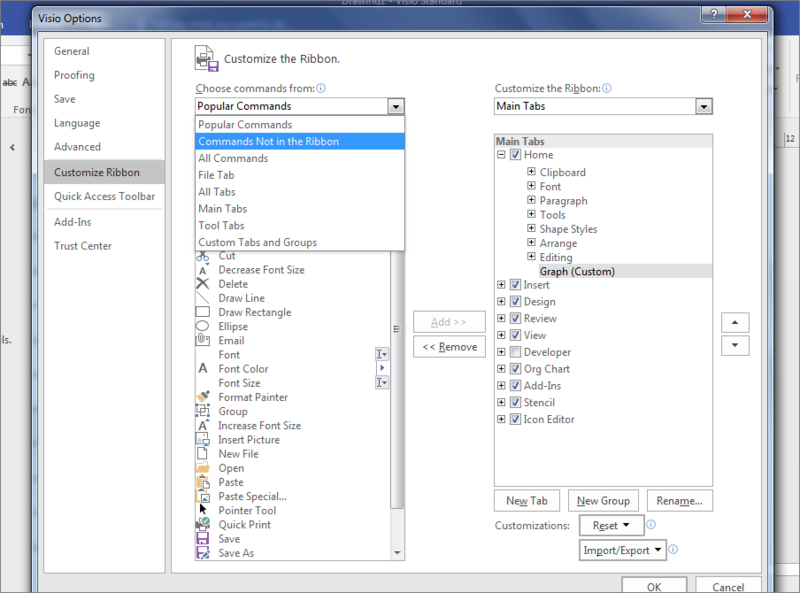 On the Visio Options screen, click Customize Ribbon. Click the Venn icon, and then type Graph into the Display name field, and click OK. Under Choose commands from, select Commands Not in the Ribbon from the drop-down. Scroll down the list and select Fragment Shapes. Fragment in the Graph area appears on the Visio Home tab. Click the Graph and Math Shapes stencil. Drag a Venn Diagram shape onto the page. Drag another Venn Diagram shape onto the page, and place it next to the first circle so that the edges overlap. Continue dragging Venn Diagram shapes onto the page until you have as many as you want. On the Home tab, click Select in the Editing group, and click Select, then Select All in the list. Click Fragment in the Graph area. Click the individual segments to change the fill color or to add text.